Mergers qualify for review under the UK rules if they meet a test relating to the turnover of the target or, alternatively, a 'share of supply' test. Where the UK turnover of the target exceeds £70 million, the turnover test will be satisfied. The share of supply test will be satisfied where the merger creates an enlarged business supplying 25 per cent or more of goods or services of any reasonable description or enhances a pre-existing share of supply of 25 per cent or more. The UK government has recently introduced alternative turnover and share of supply tests for certain sectors on national security grounds (see Section III.i, below). The Competition and Markets Authority (CMA) has the power to carry out an initial Phase I investigation, and has a duty to refer any qualifying transaction for a detailed Phase II investigation where it believes that the merger could give rise to a substantial lessening of competition. Phase I decision-making is undertaken by the senior director of mergers or another senior CMA official, while Phase II decision-making is undertaken by an independent panel drawn from a pool of senior experts in a variety of fields. Remedy undertakings in lieu of a Phase II reference may be accepted by the CMA. The CMA's in-depth Phase II investigation may lead to a prohibition decision, a decision that the transaction should be allowed to proceed subject to undertakings, or an unconditional clearance. Notification under the UK system of merger control is 'voluntary' in the sense that there is no obligation under the Enterprise Act 2002 (EA) to apply for CMA clearance before completing a transaction. The CMA may, however, become aware of the transaction through its market intelligence functions (including through the receipt of complaints) and impose interim orders preventing or unwinding integration of the two enterprises pending its review. There is a risk that it may then refer the transaction for a Phase II investigation, which could ultimately result in an order for divestment. The Competition Appeal Tribunal (CAT) may review decisions made by the CMA or the Secretary of State in connection with a reference, or possible reference, of a merger. An appeal lies, on a point of law only, from a decision of the CAT to the Court of Appeal and requires the leave of either the CAT or the Court of Appeal. Of the 62 cases decided during the year, 41 were cleared unconditionally, representing around 66 per cent of cases, down from 74 per cent in the preceding year (including cases cleared under the de minimis exception – see Section III.vii, below). Nine cases were referred for Phase II review, which is around 15 per cent of cases, up from 9 per cent in the preceding year. Undertakings in lieu of a reference were accepted in 12 cases, up from nine in the preceding year. At the time of writing, three of the nine transactions referred to Phase II have been cleared unconditionally, three have been cleared with remedies, one was cancelled (as the merger in question was abandoned) and two are still under review. 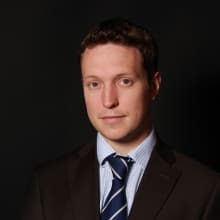 Overall, the CMA intervened (i.e., prohibited or accepted remedies) in around 23 per cent of cases in the 2017–2018 financial year, which is around four times the rate of intervention from the European Commission over a similar period. 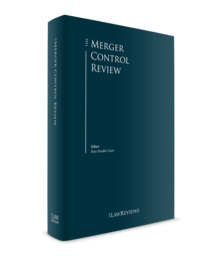 The higher intervention rate can be explained by the voluntary nature of the UK merger control regime, which means that parties may elect not to notify transactions that do not give rise to significant competition issues. The CMA has powers to impose interim measures to freeze or unwind integration and prevent pre-emptive action, including in relation to anticipated mergers at Phase I (see Section III.vi, below). This ensures that, while notification is voluntary in the United Kingdom, the CMA is able to prevent action being taken that would result in irreversible damage to competition. The CMA imposed initial enforcement orders or accepted initial undertakings in 20 Phase I cases in the 2017–2018 financial year. Interim orders were imposed in two Phase II cases in the financial year. The CMA granted a total of 29 derogations from initial enforcement orders in the financial year, down significantly from 72 derogations in the previous year.7 At the time of writing, the CMA has not yet used its powers to reverse integration steps taken before issuing an order. The CMA merger notice requires a large amount of information. The CMA therefore strongly encourages parties to make contact in advance of notification to seek advice on their submission, not only to ensure that the notification is complete, but also to lessen the risk of burdensome information requests post-notification. When examining retail mergers, the CMA tends to assess the impact on competition both at a national level and at a narrower local level. This approach often results in the merging parties offering to divest a number of businesses in local areas in order to secure clearance for the overall transaction. This trend has continued during the last year. In Heineken/Punch, where Heineken was proposing to buy approximately 1,900 pubs from Punch Taverns, the CMA's final report identified 33 local areas in which the merger may have been expected to result in a substantial lessening of competition and required the divestment of pubs in each of these areas. The CMA subsequently approved the sale by Heineken and Punch of 30 pubs. In 2017, the CMA published an updated commentary on the assessment of retail mergers,12 which explains the principles applied in past retail mergers and the issues frequently involved. In addition to updating the text on catchment areas, effects on local and national competition and upward price pressure indices, the updated commentary also provides a detailed explanation of the use of filters, diversion ratios and econometric evidence, and includes an assessment of the competitive interaction between bricks-and-mortar and online retail businesses. Online constraints are increasingly an important feature in the CMA's assessment of mergers, particularly in retail and media cases. In its updated retail mergers commentary, the CMA notes that the competitive interaction between the online and bricks-and-mortar channels is evolving rapidly in some sectors and this needs to be taken into account in its analysis. The CMA typically uses customer surveys, internal documents, econometric analysis and third party views to assess the strength of constraint imposed by online retailers on bricks-and-mortar retailers (and vice versa). The CMA has demonstrated its approach to analysing the impact of such constraints in several recent cases. For example, in Future/Miura, the CMA noted that there had been a material level of migration from printed magazines to online content albeit that there was a significant variation in the constraint exercised by digital content within different categories of interest. Although the parties would have a combined share of 100 per cent in gaming magazines, the CMA found no realistic prospect of a substantial lessening of competition based, among other things, on the strong competitive constraint imposed by online content. In Ladbrokes/Coral, the CMA considered the nature of competition between online and bricks-and-mortar suppliers of gambling services. Although the CMA did not include online supply in the product market due to the relatively low levels of online diversion, price differentials and differences in use, it did note that online constraint was inherently incorporated in the evidence underlying its local competition assessment. The CMA adopted a similar position in JD Sports/Go Outdoors, where it considered that the evidence did not support a single relevant market for bricks and mortar and online sales, but it still treated online sales as a constraint on the parties when considering merger effects at the local level. Under the UK system, a 'relevant merger situation' (i.e., a transaction potentially qualifying for review) occurs when two or more enterprises have ceased to be distinct. This can occur either through common ownership or common control. Common ownership involves the acquisition of an enterprise so that two previously distinct enterprises become one. Common control involves the acquisition of at least one of the following: de jure or legal control (a controlling interest); de facto control (control of commercial policy); or material influence (the ability to make or influence commercial policy). A merger situation will qualify for review if it meets the turnover test or the share of supply test (see Section I, above). On 15 March 2018, the UK government announced its decision to change the thresholds enterprises on national security grounds for certain defined sectors involving the development of military and dual-use (i.e., civilian and military) equipment and systems, as well as parts of the advanced technology sector.14 For these sectors, the turnover threshold is lowered from £70 million to £1 million and the share of supply test is met if the pre-merger share of sale of the target is 25 per cent or more (irrespective of whether that share is increased). The new changes exist alongside the existing regime. If the CMA believes that it is or may be the case that the merger has resulted or may be expected to result in a substantial lessening of competition in a UK market, then it will refer the merger for a Phase II investigation. In general, a completed merger will no longer qualify for a Phase II reference four months after the date of implementation of the merger. Time will not begin to run, however, until the 'material facts' of the merger (i.e., the names of the parties, nature of the transaction and completion date) have been made public or are given to the CMA (if neither occurs prior to completion). Time will not run where undertakings in lieu of reference are under negotiation, where the parties are yet to comply with an information request from the CMA, or where a request has been made by the United Kingdom for review of the transaction by the European Commission in accordance with Article 22(3) of the EU Merger Regulation (EUMR) (see the European Union chapter for details of this procedure). The four-month period may also be extended by agreement between the CMA and the merging enterprises, but for no more than 20 days. In its assessment of mergers, the CMA considers whether the transaction may be expected to give rise to a substantial lessening of competition. At Phase I, a reference must be made if it is or may be the case that a merger may give rise to a substantial lessening of competition (known as the 'realistic prospect' threshold), while at Phase II a 'balance of probabilities' threshold applies.15 As a result, it is relatively common for mergers to be referred to Phase II and subsequently cleared unconditionally. The CMA has adopted substantive assessment guidelines16 that illustrate, in particular, the shift away from traditional merger control analysis, which proceeds from the definition of the relevant product and geographical markets to measure post-merger levels of concentration, towards a more direct assessment of competitive effects taking into account factors such as differentiated products, closeness of competition and price sensitivity of customers. For example, the CMA will often use margin and switching data (commonly based on customer surveys) to estimate the upward pricing pressure arising from a merger. For these purposes, the CMA has adopted guidance on the design and presentation of consumer survey evidence in merger inquiries.17 The CMA has also published commentary on the assessment of retail mergers (see Section II.iv, above). The CMA applies different approaches at Phase I and Phase II to assessing the merger counterfactual. At Phase I, the transaction is generally measured against the prevailing conditions of competition (unless it is unrealistic to do so or there is a realistic counterfactual that is more competitive than the pre-merger conditions of competition). At Phase II, the CMA will measure the transaction against the 'most likely scenario'. The most notable situation where the CMA may use a counterfactual different to the prevailing conditions of competition is in a failing firm scenario. However, in practice, it is often difficult to argue for its application, especially at Phase I. The CMA considered the failing firm test in three Phase I cases in the 2017–2018 financial year. In each case, the parties failed to provide sufficient evidence of a probability of market exit by the failing firm. An application for clearance is made using the formal merger notice.20 The initial period within which the CMA must make a decision whether to make a reference is 40 working days from the first working day after the CMA confirms to the parties that the merger notice is complete. This initial period may be extended where the parties have failed to comply with the requirements of a formal information request under Section 109 of the EA, where the Secretary of State has served a public interest intervention notice, or where the European Commission is considering whether to accept a request from the United Kingdom for the merger to be referred to Brussels under Article 22(3) of the EUMR. As noted in Section II.iii, above, the CMA encourages parties to enter into pre-notification discussions at an early stage both to ensure that the notification is complete and to avoid as far as possible the need for extensions to the statutory timetable. Pre-notification discussions will also help the CMA to determine any jurisdictional issues (e.g., whether the CMA is best placed to review the case or whether a reference to the European Commission should be sought under the EUMR – see Section IV.ii, below) and whether a case is likely to give rise to any substantive issues that might trigger its duty to refer. It is possible for the parties to request that the CMA 'fast-tracks' a merger reference where there is evidence that an in-depth review is likely to be required. This option may be attractive to parties in cases where a reference appears inevitable, as it allows for Phase I of the review process to be truncated. The CMA levies substantial filing fees in respect of the mergers it reviews, with fees of between £40,000 and £160,000 depending on the turnover of the target business. Where there is evidence of a good-faith intention to proceed and there is a genuine competition issue, prior to submitting a merger notice or initiating pre-notification discussions, it may be possible to obtain informal advice from the CMA as to whether it is likely to refer the merger for a Phase II investigation. There is no standard timetable for the provision of informal advice, but where it is intended that the advice will be given following the conclusion of a meeting, the CMA will endeavour to schedule that meeting within 10 working days of receipt of the original application. The resulting advice is confidential and does not bind the CMA. As outlined above, the CMA has powers to impose interim measures to freeze or unwind integration and prevent pre-emptive action. Financial penalties may be imposed for breaches of such measures (capped at 5 per cent of the aggregate group worldwide turnover). If there are relatively high risks of pre-emptive action or concerns about compliance with the interim order, the CMA also has the power to require a monitoring trustee to be appointed in order to ensure compliance with the interim orders. The CMA will normally make an interim order where it has reasonable grounds to suspect that two or more enterprises have ceased to be distinct (i.e., in respect of completed mergers) and will normally do so almost immediately. All of the 17 Phase I cases decided in the 2017–2018 financial year in which initial enforcement orders were imposed were completed mergers. Given that the risk of pre-emptive action is generally much lower in relation to anticipated mergers, the CMA has noted that it would typically engage with parties before making an order in those circumstances. The CMA has stated that it would generally not expect to impose an order limiting the parties' ability to complete an anticipated merger unless it had strong reasons to believe that completion will occur prior to the end of Phase I and the act of completion itself might amount to pre-emptive action that would be difficult or costly to reverse (e.g., where the act of completion would automatically lead to the loss of key staff or management capability for the acquired business). The CMA may also consider creating a tailored interim order in cases where this is likely to optimise procedural efficiency and avoid unnecessary disruption to the merging parties' businesses. Therefore, absent exceptional circumstances, it is expected that parties will still be able to complete transactions prior to CMA clearance. The CMA is willing to grant derogations from interim orders. The CMA advises parties to raise derogation requests as early in the process as possible, preferably in a single comprehensive request. The CMA will often grant the following types of derogation requests where sufficiently specified, reasoned and evidenced: (1) the provision of back-office support services by the acquirer to the target; (2) the exclusion from the scope of the interim order of parts of one party's business that are not engaged in activities that are related to the other party's business; (3) the exclusion from the scope of the interim order of parts of either parties' business that have no relevance to the merging parties' relevant activities in the United Kingdom; (4) the replacement of specified key staff at the target or substantive changes to the merging parties' organisational or management structures; and (5) continued access to key staff members where integration is staggered. The CMA will seek to release merging parties from some or all of the obligations incumbent in an interim order as early as is appropriate in the circumstances of the case, including during Phase II for parts of the business about which the CMA is no longer concerned. The CMA may also release interim orders following a state of play meeting if it is decided that the case will be cleared. The guidance sets out the criteria for accepting undertakings that may be offered by the merging parties in lieu of a reference. To discharge the CMA's duty to refer, any undertakings offered by the parties should restore competitiveness to pre-merger levels and must be proportionate. It is most common for undertakings to relate to the sale of a part of the merged assets; the CMA is generally reluctant to accept behavioural remedies, although it has recently accepted a number of 'quasi-structural' remedies with behavioural features.23 It is becoming increasingly common for the CMA to require an 'upfront buyer', in other words, for a buyer of the divestment assets to be identified and approved by the CMA before clearance is granted. The merging parties have five working days from the issuance of a substantial lessening of competition decision (SLC decision) to offer undertakings to the CMA, although they may offer them in advance should they wish to do so. The CMA then has until the 10th working day after the SLC decision to decide whether the offered undertakings might, in principle, be acceptable as a suitable remedy to the substantial lessening of competition. If the CMA decides the offer might, in principle, be acceptable, a period of negotiation and third-party consultation follows. The CMA is required to decide formally whether to accept the offered undertakings, or a modified form of them, within 50 working days of providing the parties with the SLC decision, subject to an extension of up to 40 working days if there are special reasons for doing so. The CMA's duty to refer may also be discharged in other circumstances, namely in respect of small markets (de minimis mergers), mergers where there are sufficient efficiencies to offset any competition concerns and merger arrangements that are insufficiently advanced. In relation to de minimis mergers, the guidance states that, for markets with an aggregate turnover exceeding £15 million, the benefits of an in-depth Phase II investigation may be expected to outweigh the costs. However, for markets with an aggregate turnover of less than £5 million, the CMA will generally not consider a reference to be cost-effective or justified provided that there is, in principle, no clear-cut undertaking in lieu of reference available. For markets with an aggregate turnover of between £5 million and £15 million, the CMA will consider whether the expected customer harm resulting from the merger is materially greater than the average public cost of a Phase II reference. The CMA applied the de minimis exception in four cases during the 2017–2018 financial year. Upon the making of a Phase II reference, there are a number of consequences for the transaction – some arising automatically, some relevant only if invoked by the CMA. When a reference is made in relation to a merger that has not yet been completed, the EA automatically prohibits the parties from acquiring interests in each other's shares until such time as the Phase II inquiry is finally determined. This restriction can be lifted only with the CMA's consent. In relation to completed mergers, from the point of reference, the EA prohibits any further integration of the businesses or any transfer of ownership or control of businesses to which the reference relates (although in practice, the CMA is likely to have imposed an interim order at Phase I in any event). Unless the CMA releases or replaces an interim order made during Phase I, it will continue in force for the duration of the Phase II inquiry. If an interim order was not made at Phase I or if it is necessary to supplement the measures previously put in place at Phase I, the CMA may impose a new order or accept interim undertakings from the parties. The CMA is obliged to publish a report, setting out its reasoned decisions, within a statutory maximum of 24 weeks (extendible in special cases for a period of up to eight weeks). The CMA has a statutory period of 12 weeks (which may be extended by up to six weeks) following the Phase II review within which to implement any remedies offered by the parties. Any party aggrieved by a decision of the CMA (including a decision not to refer a merger for a Phase II investigation) or the Secretary of State may apply to the CAT for a review of that decision. Appeals against merger decisions must be lodged within four weeks of the date the applicant was notified of the disputed decision or the date of publication, if earlier. Lodging an appeal does not have a suspensory effect on the decision to which the appeal relates. In determining an application for review, the CAT is statutorily bound to apply the same principles as would be applied by the High Court on an application for judicial review. Appeals against merger decisions have been relatively rare since the establishment of the CAT. In the past two years, only one merger case was subject to judgment from the court. In November 2016, Intercontinental Exchange (ICE) appealed the CMA's decision prohibiting its completed acquisition of Trayport. The CMA had concluded that only complete divestiture of Trayport by ICE would address its competition concerns and that the parties must unwind an ancillary post-transaction agreement. ICE argued that the CMA had failed to properly assess its proposed remedies and that it had no statutory power to require the parties to unwind the agreement. The CAT quashed the CMA's final report to the extent that it required the unwinding of the agreement and remitted the point to the CMA to reconsider.24 The CAT dismissed ICE's other claims and refused permission to appeal to the Court of Appeal.25 Upon remittal, the CMA concluded that the loss of competition identified in the original merger investigation would not be comprehensively remedied if the agreement remained in place, and therefore confirmed its decision to require ICE to end the commercial agreement. Given that notification under the UK system is voluntary, the question of whether clearance should be sought from the CMA in a particular case is one for the parties – and, in particular, the purchaser – to consider. This is essentially a question of what level of commercial risk is acceptable. The Committee reviewed over 550 transactions during the 2017–2018 financial year, down from 650 transactions in the previous year. Ten Phase I investigations were launched during the financial year as a result of the Committee's work. One of these cases resulted in a Phase II referral and one resulted in clearance under the de minimis exception. As noted above, the fact that a merger has been completed does not prevent the CMA from investigating and referring it for a Phase II investigation or accepting undertakings in lieu of a reference. While the substantive assessment of anticipated and completed mergers ought to be identical, the CMA can be expected to impose interim orders while it considers a completed merger. In addition to ordering the parties to stop any integration that might constitute pre-emptive action, the CMA may also require the parties to unwind any integration steps that have already taken place. An additional risk to bear in mind is that the initial period for a Phase I investigation may be reduced to less than 40 working days if the parties elect not to notify a completed merger. The CMA must comply with the four-month statutory deadline for a reference under the EA, which will start to run when the 'material facts' of the merger have been made public or are given to the CMA. If the CMA's timetable is compressed in this manner, it may mean that it has insufficient time to obtain evidence that would support a Phase I clearance, without the need for a Phase II investigation. ii United Kingdom or European Union? If a merger has an 'EU dimension', as defined in the EUMR, it falls under the exclusive jurisdiction of the European Commission and cannot be completed until it has been notified and cleared. Conversely, the CMA is in principle competent to investigate mergers that do not have an EU dimension but qualify for review under the UK rules. This is often referred to as the 'one-stop-shop' principle. This simple allocation of jurisdiction is, however, subject to the EUMR processes relating to the reallocation of jurisdiction (see the European Union chapter for details of these procedures). The decision whether to make a pre-notification referral request is a strategic issue for the parties, and will depend on where the competition issues lie and the degree of risk that the Member States may request a post-notification referral. The European Commission granted Article 4(4) requests by parties to transactions with an EU dimension for the case to be referred to the CMA on three occasions in the 2017–2018 financial year. As regards post-notification referrals, in the 2017–2018 financial year, the CMA did not make any Article 9 requests for cases to be referred from the European Commission, or any Article 22 requests for cases to be referred to the European Commission. The CMA's mergers guidance recommends that, in all cases in which a referral back might be considered appropriate, parties contact the CMA prior to notification to the European Commission to discuss any UK issues raised by the transaction. Parties should be aware that the CMA is part of the European Competition Network, and as such is informed of mergers notified to the competition authorities of the other 27 EU Member States and the European Commission. It also participates in the International Competition Network, an informal network that seeks to develop best practice among competition agencies around the world. In its Annual Plan 2018–19, the CMA stated that it will build on the changes it has made in the past four years in order to ensure an efficient, effective and targeted merger control end-to-end process during both Phase I and Phase II. It stated that it will continue its programme of reviews of existing remedies, seeking where possible to remove remedies that are no longer appropriate. It will also continue to ensure that organisations adhere to remedies ordered by the CMA and where necessary will issue public directions to organisations which do not comply. The CMA stated that it will seek to minimise the cost and duration of Phase II investigations by ensuring continued staff crossover between phases while continuing to ensure the independence of Phase II decision-making and using evidence given by main parties and by third parties during Phase I investigations. It stated that it will continue to fast-track appropriate mergers to Phase II, as soon as possible. to implement Phase II merger remedies without the need for an extension to the statutory deadline in at least 80 per cent of cases. On 23 June 2016, the UK electorate voted to leave the European Union. It is expected that the United Kingdom will withdraw from both the European Union and European Economic Area (EEA), which could cause significant changes to merger control regulation. It is likely that businesses may need to submit parallel notifications in the United Kingdom and European Union in order to obtain clearance for a deal, as the 'one-stop-shop' principle may no longer apply. This could lead to a number of challenges for merging businesses, including increased regulatory burden. The CMA has indicated that, from its perspective, the removal of the 'one-stop shop' principle would lead to an increased workload and consequently have an effect on resources. In addition, this will affect the CMA's role in global mergers and its relationships with foreign regulators.27 Transitional arrangements would also need to be put in place as soon as possible to clarify how cases currently in train would be handled. It is also possible that the UK government's development of a new industrial strategy could affect the national merger control regime. In particular, this has already entailed changes to the regime in relation to thresholds for specific economic sectors (see section III.i, above), with the current government suggesting that the UK may develop a more politically interventionist approach to the ownership and control of critical infrastructure. 1 Jordan Ellison is a partner and Paul Walter is a special adviser at Slaughter and May. 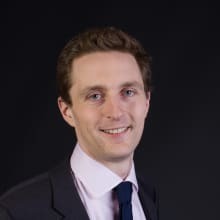 The authors would also like to thank Henry Llewellyn, associate at Slaughter and May, for his help in preparing this chapter. 2 Intervention notices have been served in two recent transactions: (1) in March 2017, a European Intervention Notice in 21st Century Fox's acquisition of Sky on media plurality grounds (the European Commission cleared the deal in April 2017; the Secretary of State for Digital, Culture, Media and Sport concluded that the proposed acquisition was not in the public interest owing to media plurality concerns and therefore divestments were required) and (2) in April 2017, a public interest intervention notice in Hytera's acquisition of Sepura on national security grounds (in May 2017, the Secretary of State for Business, Energy and Industrial Strategy accepted undertakings offered by the parties in lieu of a reference to the CMA for a Phase II investigation). Prior to this, the Secretary of State last issued an intervention notice in 2012. 3 Mergers: Guidance on the CMA's jurisdiction and procedure (January 2014) CMA2. 4 On 1 April 2014, the CMA assumed the competition powers and responsibilities of the OFT and the CC as part of a series of reforms intended to strengthen the UK merger control regime. 5 For the CMA case directory, see www.gov.uk/cma-cases. 6 ICE/Trayport. ICE appealed the CMA's decision to the CAT - see further Section III.ix, below. 7 Mergers updates, Law Society Competition Section seminar, 13 March 2018. 10 Ibid. This figure is accurate as at 28 February 2018. 11 Ibid. The figure for the 2017–2018 financial year is accurate as at 28 February 2018. 12 Retail mergers commentary: CMA62 (April 2017). 13 Material influence also formed the jurisdictional basis for the investigations by the OFT and the CC in relation to the 29.82 per cent shareholding acquired by Ryanair in Aer Lingus in the context of a takeover bid. The CC ultimately found that the existence of Ryanair's minority shareholding led or may have been expected to lead to a substantial lessening of competition in the markets concerned and decided that the most effective and proportionate remedy was to compel the airline to reduce its stake in Aer Lingus to 5 per cent. This case illustrates how a would-be acquirer who builds a minority stake in advance of a full takeover bid remains exposed to a CMA investigation and ultimately risks being ordered to divest the stake, even if the takeover bid fails. 14 Department for Business, Energy & Industrial Strategy, 'National Security & Infrastructure Investment Review' (15 March 2018). The proposals were brought into effect by the Enterprise Act 2002 (Share of Supply Test) Amendment Order 2018 and the Enterprise Act 2002 (Turnover Test) (Amendment) Order 2018. 15 See OFT v. IBA Health Ltd  EWCA Civ 142. 16 Merger Assessment Guidelines (September 2010) OFT 1254, CC 2. 17 Good practice in the design and presentation of consumer survey evidence in merger inquiries (March 2011) OFT 1230, CC2 com 1. 18 Euro Car Parts/Andrew Page. 20 The CMA has made a number of changes to the merger notice form, reflecting comments received in a consultation in 2017, that are intended to reduce the overall amount of information that businesses need to provide. 21 Guidance on initial enforcement orders and derogations in merger investigations (September 2017), CMA60. On 12 June 2018, the CMA published for consultation draft new guidance on the use of interim measures in merger investigations. The new draft guidance includes text on initial enforcement orders and is intended to replace the September 2017 guidance document. 22 Exceptions to the Duty to Refer and Undertakings in Lieu of Reference Guidance (December 2010) OFT 1122. On 12 June 2018, the CMA published for consultation new draft guidance on the exceptions to the duty to refer mergers for in-depth Phase II investigations. On the same date, the CMA also published for consultation new draft guidance to explain its approach and requirements in the selection, design and implementation of remedies in Phase I and Phase II merger investigations. 23 For example, in Mastercard/VocaLink the CMA accepted a network access remedy under which VocaLink agreed to make its connectivity infrastructure available to a new supplier of infrastructure services to the LINK ATM network. In addition, VocaLink agreed to transfer to LINK the intellectual property rights relating to a particular messaging standard and MasterCard agreed to contribute to LINK members' switching costs. In Müller UK & Ireland/Dairy Crest, the CMA accepted a toll-processing agreement as a remedy, taking comfort from the fact that these were relatively common in the dairy industry and that it would have the ability to approve the counterparty to the agreement. In Reckitt Benckiser/K-Y brand, the CMA accepted the licensing of the relevant UK rights to the K-Y brand to a third party as a final undertaking at Phase II. The CMA was concerned that there would be significant practical difficulties associated with a divestment of the K-Y brand and that a prohibition would not be effective due to the high risk that the seller would close the business. 24 Intercontinental Exchange, INC v. CMA  CAT 6. 25 Intercontinental Exchange, INC v. CMA  CAT 8. 26 CMA's mergers intelligence function: CMA56 (September 2017). 27 Mergers updates, Law Society Competition Section seminar, 13 March 2018.